The instructions and the part list of both chassis include the steps to build all different wheelbases and fake engine configurations. So if in the future you want yo buy a new bodywork you only need to buy the bodywork if self, not the chassis again. Or if you want RC and Manual versions of any car you only need to buy one bodywork. I am here again to show you something new and I think very insteresting. Some months ago a topic started by piterx, inspired to design a little, fast, simple and funny 4x4. My original idea was build again a Land-Rover Defender in small scale to help to the people who likes my previous Defender but it is too much big and expensive. 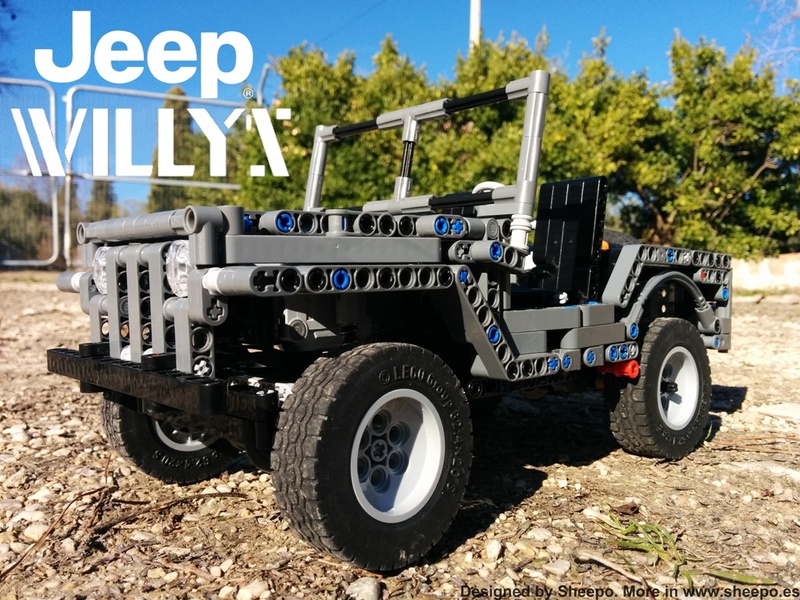 But when I was starting the car I though about that will be even more interesting if I design a chassis which can be used in many differents 4x4. I finnally designed a modular 4x4 platform.